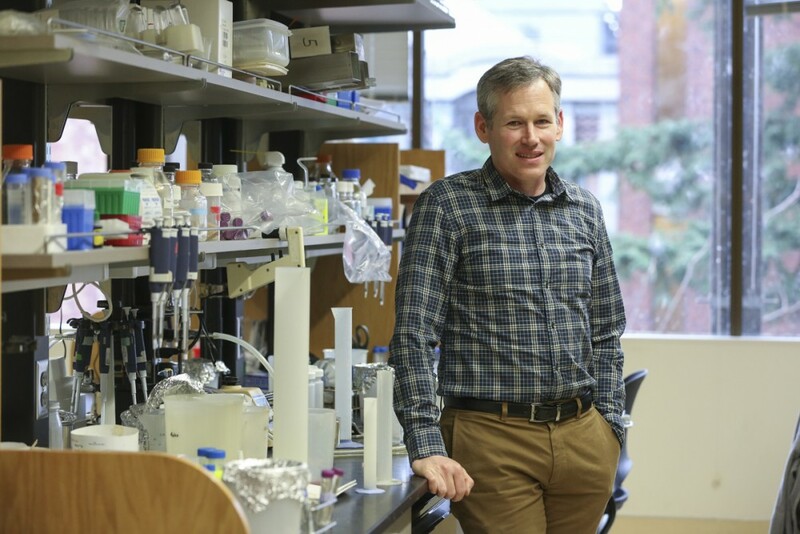 In a Sunday op-ed article in The Register-Guard, UO biochemist Ken Prehoda discusses how the new Knight Campus will change and amplify basic research, and tonight he’ll talk about some of the research that could one day be part of that change. Prehoda’s essay discusses basic science and how research on the big questions surrounding how nature works can lead to discoveries with far-reaching benefits. But it’s rarely clear what those discoveries will be ahead of time, he says, and it may take years or decades before they arrive. For the full article, see “UO gift signals importance of scientific research” in the Nov. 13 issue of The Register-Guard. Prehoda also will discuss his research on protein function and evolution at a pub talk this evening, Nov. 16, at the Falling Sky Pizzeria and Pub in the Erb Memorial Union on the UO campus. The talk, part of the UO’s new Quack Chat series, begins at 6 p.m. and is free and open to the public. For more information on tonight’s Quack Chat, see “Evolution is on tap for Quack Chats on Nov. 16 in the EMU” in Around the O.